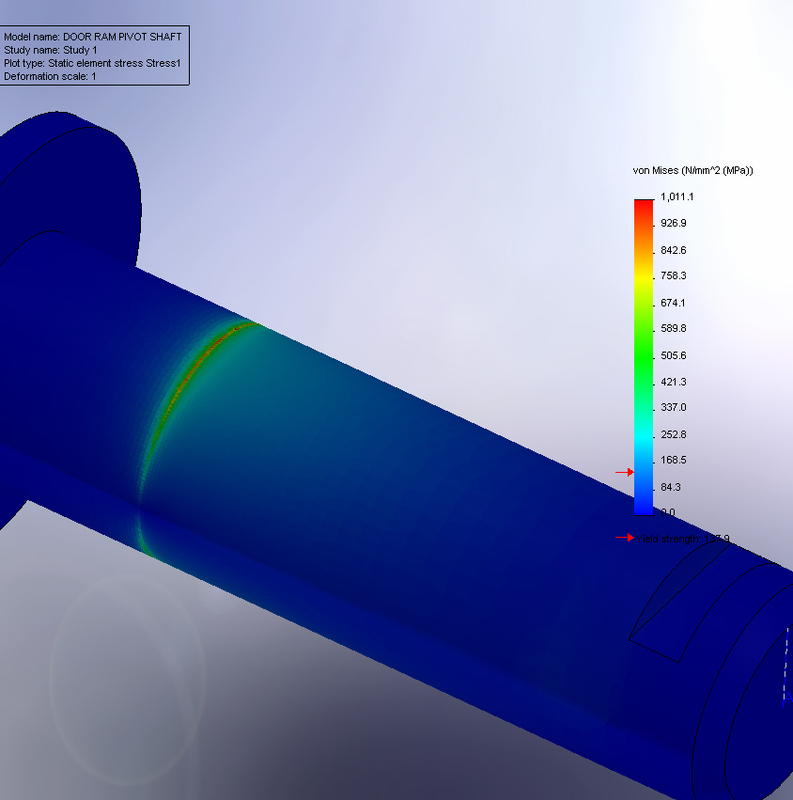 An industrial press manufacturer wanted to improve a press, by reducing its weight and manufacturing cost, while increasing the force on the press tools. They asked Coupland Bell consultants to consider the whole design and recommend improvements. One of the loaded parts our consultants looked at in more detail was a ram anchor and pin. 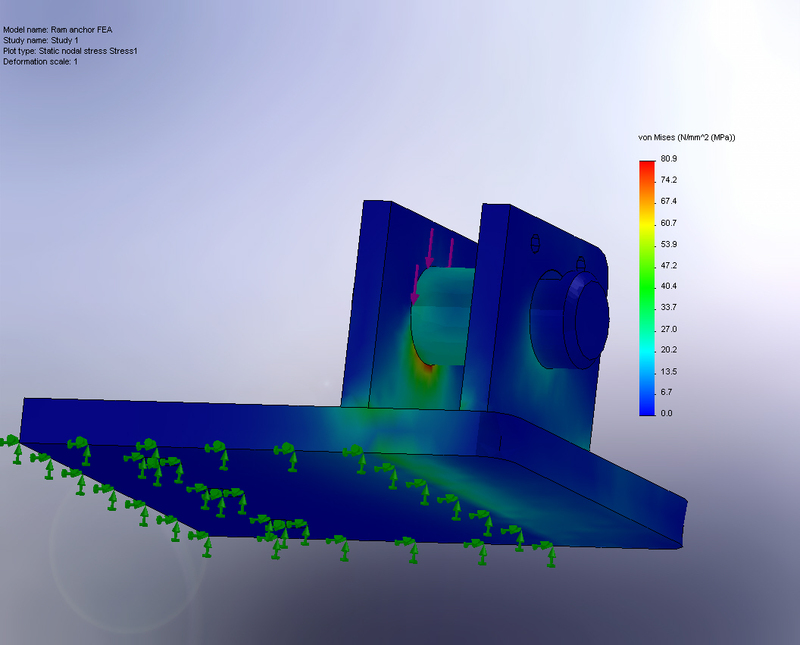 This was at risk from the greater forces, so our consultants used finite element analysis for stress analysis. 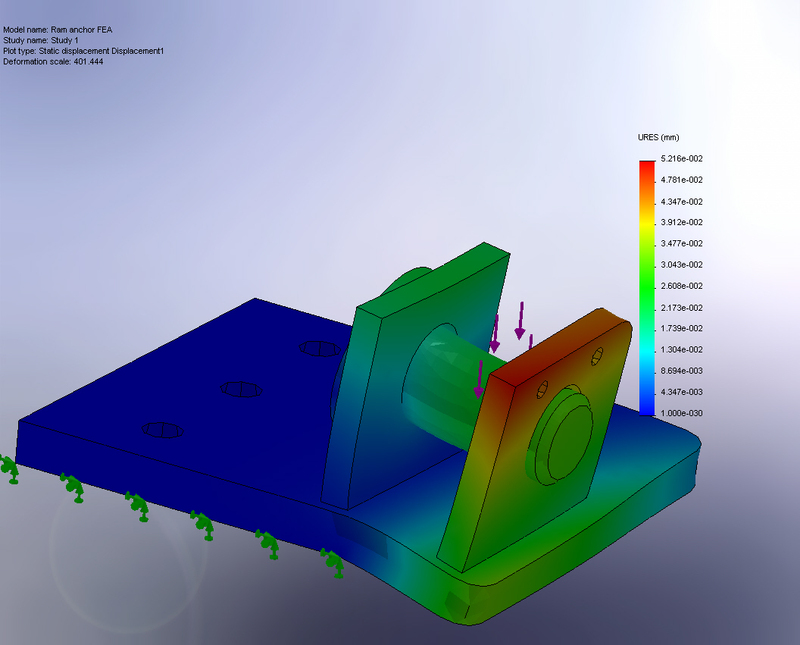 Our consultants built simple FEA models of the ram anchor and its pin. The stresses and deflections were predicted and compared with the material yield, UTS and allowable deflections to prevent binding. Our consultants found that the anchor had an adequate factor of safety but the pin would have been over-stressed by the new design loads. This was easily solved by increasing the diameter of the pin. 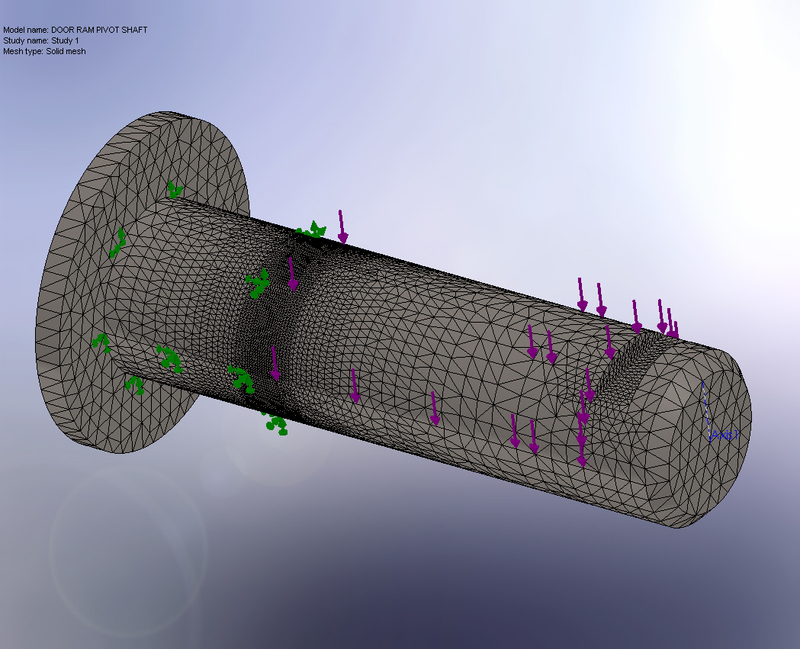 Finite element analysis case study by UK consultants Coupland Bell of a ram anchor and pin.